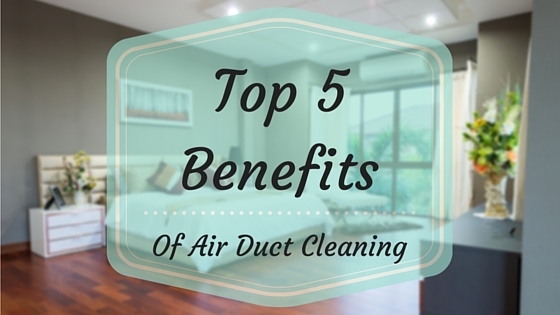 It is highly recommended by the National Air Duct Cleaners Association that your ducts should be cleaned every 3 to 5 years. However, other experts have suggested, depending on your particular situation, cleaning could be required every 2 to 5 years. The frequency of the cleaning will be contingent on factors like how often the system is used, where you are located and whether anyone in the home has asthma, allergies or other respiratory conditions. ← Does Your Home Need Duct Cleaning? Nothing is better than taking in fresh air. I just wish my house always felt refreshing. It’s almost impossible for me to get a breath of fresh clean air. It sounds like I need to clean my AC. The benefits would definitely make it worth it. Especially if it will give me clean air and remove odors. It’s interesting that air duct cleaning can be a good way to remove unpleasant odors from the AC system. It makes sense that it could be a good way of doing this as it would remove any debris or dead bugs from the system. It’s something to keep in mind as I think it could be a great thing to do going into winter to ensure the heating works and smells nice. You stated that it is highly recommended by the National Air Duct Cleaners Association that your ducts should be cleaned every 3 to 5 years. Are there certain types of cleaners that last longer and provide better quality than the others? My wife called me at work this morning because our whole house smelled terrible after she turned on the heat. Hiring an experienced contractor to come and replace our ducts might be a good idea. The odor that comes from when the heat is on could be different things. I would suggest having an air duct cleaner or odor specialist determine where the odor is coming from first. Then you can decide whether cleaning or replacement is the road to take. The 3-5 years is just a national average. It’s not too hard to check and see if they need cleaned. Most air duct cleaners, like ourselves, do free estimates and inspections. I like to take pictures to show my clients what I see. Most of the time we find that people haven’t really though about cleaning there ducts, because it’s out of site and out of mind. We offer an encapsulant that is applied after cleaning that definitely helps with making the cleaning last longer. I hope this helps. Amazing post! Very informative. Now I understand the importance of air duct cleanliness. Thanks a lot for sharing! Great work. Air duct cleaning is pivotal when it comes to extending the lifespan of the system. It is crucial to notice that man of us fails to realize this. The cleaner the duct is, the longer the system will run smoothly. Thanks for sharing these tips! Just like changing the engine oil on a car. Thank you for the affirmation.